Born in Prato, Tuscany, Malaparte was a son of a German father, Erwin Suckert, a textile-manufacturing executive, and his Lombard wife, the former Evelina Perelli. He was educated at Collegio Cicognini in Prato and at La Sapienza University of Rome. In 1918 he started his career as a journalist. He was freed on the personal intervention of Mussolini's son-in-law and heir apparent Galeazzo Ciano. Mussolini's regime arrested Malaparte again in 1938, 1939, 1941, and 1943 and imprisoned him in Rome's infamous jail Regina Coeli. During that time (1938–41) he built a house, known as the Casa Malaparte, on Capo Massullo, on the Isle of Capri. It was used as a location in Jean-Luc Godard's film, Le Mépris, (Eng: Contempt), starring Brigitte Bardot and Fritz Lang, based on an Alberto Moravia novel. His remarkable knowledge of Europe and its leaders is based upon his experience as a correspondent and in the Italian diplomatic service. In 1941 he was sent to cover the Eastern Front as a correspondent for Corriere della Sera. The articles he sent back from the Ukrainian Fronts, many of which were suppressed, were collected in 1943 and brought out under the title Il Volga nasce in Europa ("The Volga Rises in Europe"). The experience provided the basis for his two most famous books, Kaputt (1944) and The Skin (1949). The book was condemned by the Roman Catholic Church, and placed on the Index Librorum Prohibitorum. The Skin was adapted for the cinema in 1981. From November 1943 to March 1946 he was attached to the American High Command in Italy as an Italian Liaison Officer. Articles by Curzio Malaparte have appeared in many literary periodicals of note in France, the United Kingdom, Italy and the United States . After the war, Malaparte's political sympathies veered to the left and he became a member of the Italian Communist Party. 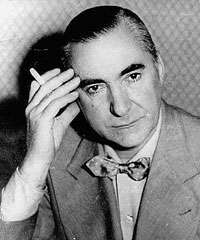 In 1947, Malaparte settled in Paris and wrote dramas without much success. His play Du Côté de chez Proust was based on the life of Marcel Proust and Das Kapital was a portrait of Karl Marx. Cristo Proibito ("Forbidden Christ") was Malaparte's moderately successful film—which he wrote, directed and scored in 1950. It won the "City of Berlin" special prize at the 1st Berlin International Film Festival in 1951. In the story, a war veteran returns to his village to avenge the death of his brother, shot by the Germans. It was released in the United States in 1953 as Strange Deception and voted among the five best foreign films by the National Board Of Review. He also produced the variety show Sexophone and planned to cross the United States on bicycle. Just before his death, Malaparte completed the treatment of another film, Il Compagno P. After the establishment of the People's Republic of China in 1949, Malaparte became interested in the Maoist version of Communism but his journey to China was cut short by illness, and he was flown back to Rome. Io in Russia e in Cina, his journal of the events, was published posthumously in 1958. Malaparte's final book, Maledetti Toscani, his attack on middle and upper-class culture, appeared in 1956. He died in Rome from lung cancer on 19 July 1957. ↑ Vegliani, Franco (1957). Malaparte. Milano-Venezia: Edizioni Daria Guarnati. p. 33. Retrieved 22 June 2015. ↑ "1st Berlin International Film Festival: Prize Winners". berlinale.de. Retrieved 2009-12-20.